Dave Korsunsky (Heads Up Health): First off, thanks for taking some time to share what you’re doing with the Heads Up Health community. I gotta be honest, I think it’s really cool. Hobie Simons: Thanks, it’s my pleasure. Dave Korsunsky (Heads Up Health): Before we dive into the details, tell us a little bit about yourself. Hobie Simons: I am 50-year old male living in South Carolina. I work in the electrical power generation industry. The work is very technical and I enjoy it very much. I recently relocated to take a new position with my company. Dave Korsunsky (Heads Up Health): So was it the job change that led you down this road to better health, or something else? Hobie: Both, sort of. With the change in location and position, I’d let some old habits seep in to my routine and my health was starting to slip. On my most recent physical, my lipid panel numbers had reached the point where my triglycerides were getting out of control. The doctor suggested the standard recommendation of a low-fat diet and a statin prescription. I have always been averse to prescriptions. I was motivated to instead make lifestyle changes to get my lipids under control without the use of medications. Dave Korsunsky (Heads Up Health): That’s certainly a story I’ve heard from a lot of our users. Hobie: For sure. As I was searching the web for strategies to control lipids through diet, I stumbled upon the ketogenic diet. After learning about the benefits, I quickly adopted it. Within a week I noticed significant changes for the better. During a subsequent wellness checkup with my personal doctor, a lipid panel was drawn and the results showed dramatic improvements. Dave Korsunsky (Heads Up Health): Outstanding! Hobie: Yeah, I thought so too. Dave Korsunsky (Heads Up Health): OK so tell us about the graph above you’ve shared above. What are you tracking on this graph and how does this guide you on your health journey? 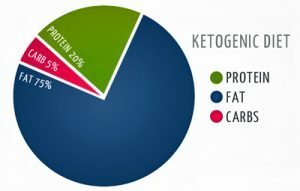 Hobie: When I stumbled upon the ketogenic diet, I learned that it’s not only about the amount of each macro (carbohydrate, protein, and fat), but also the ratio of the macros in each meal that affects the level of ketosis. The ratio calculation is based on a century-old formula developed by Dr. R. T. Woodyatt. The ratio was tested and verified in Dr. Woodyatt’s efforts to treat epilepsy with the ketogenic diet. KetoCalc then spits out the ketogenic ratio of the given meal. 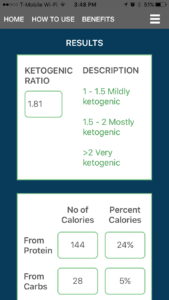 I try to design meals with a ketogenic ratio of about 1.5 according to KetoCalc. By eating meals at my target ratio, I know my body is going to stay in ketosis. I can therefore measure ketones less frequently. 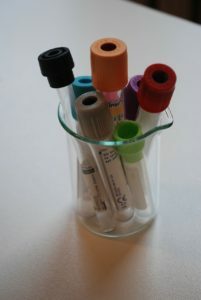 This helps me save money on the ketone blood test strips, which are costly. I may go 3 or 4 days without testing ketones as long as I know each meal was inline with my target ratio. Within Heads Up Health, I’ve created a custom metric for tracking this ratio. 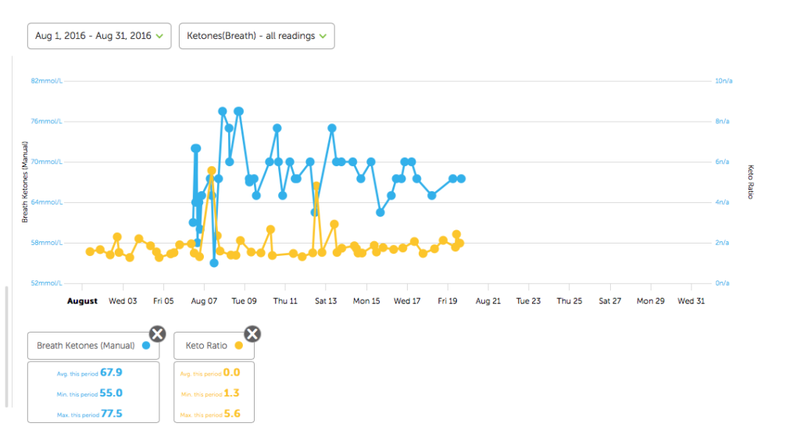 I enter the data manually so I can track it alongside all of my other health metrics, including ketones . 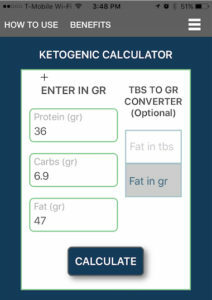 I can then correlate the ketogenic ratio of each meal with the subsequent blood or breath ketone readings and fine tune my regimen to make sure I am staying on track. Dave Korsunsky (Heads Up Health): That’s awesome! Hobie: Thanks. I thought so too. Dave Korsunsky (Heads Up): What else are you tracking? 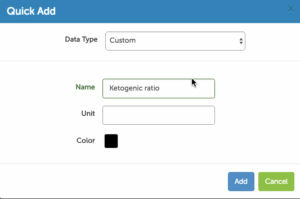 Hobie: As mentioned, I have a custom metric setup to track the ketogenic ratio of my meals. I enter ketone readings (blood and breath) manually into Heads Up. MyFitnessPal is connected so I can synchronize my macros. I also use a Withings Smart Scale and Blood Pressure meter. The Withings data is also automatically synchronized with Heads Up Health. 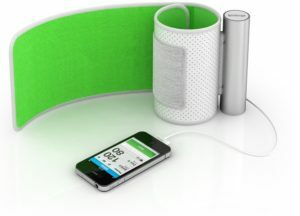 You can connect a Withings wireless blood pressure monitor to your Heads Up Health account. I’ve also entered results from lab tests, such as my lipids panels and other blood testing, into Heads Up Health. Dave Korsunsky (Heads Up): Is it empowering for you to be able to look at these charts and know that you’re looking at evidence of your improved health? Hobie: The ability to see those trends is very empowering. I cannot tell you how helpful Head Up Health has been to help me keep track of everything and most importantly, quantify my progress. Dave Korsunsky (Heads Up): OK last question Hobie. Based on your own personal experience thus far, what’s the one piece of advice you would offer others who are on a similar journey toward health transformation? Hobie: Taking control of your health is the biggest thing anyone can do. If a doctor is telling you to do the same thing that has been prescribed for the last 30 years, which hasn’t worked for the general population to improve their health, then don’t be afraid to tell the doctor no! Be open-minded and try something different. It’s worked for me! Dave Korsunsky (Heads Up): Thanks, again, Hobie. You’re awesome. 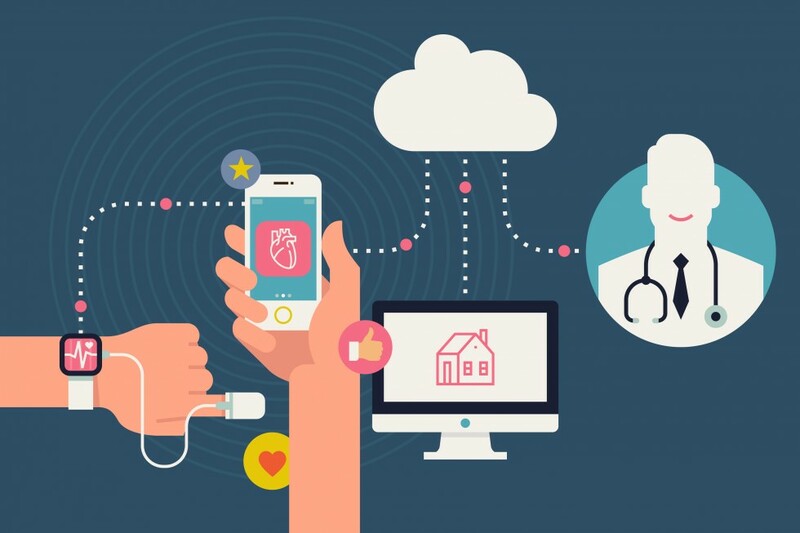 If you’d like to learn more, head over to www.headsuphealth.com and start tracking your own health. If you’ve got a self-tracking story you’d like to share, hit us up! We’d love to hear from you.